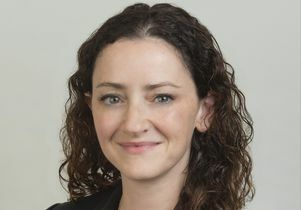 Dr. Eve Glazier has been appointed president of the Faculty Practice Group at UCLA Health. The Faculty Practice Group is a 1,200-plus member academic practice and is one of the largest physician groups participating in the California healthcare industry. Glazier has worked at UCLA Health for 10 years, most recently serving as the medical director for the Entertainment Industry Medical Group. In this role, she led the successful integration of the EIMG into UCLA Health and implemented major performance improvement initiatives. Glazier has also built highly effective relationships with external partners, including self-insured employers. In addition to her leadership role in the Entertainment Medical Industry Group, Glazier served as a member of the Faculty Practice Group executive team and served on the group's budget and finance committee. A clinician educator, Glazier is an associate clinical professor for the David Geffen School of Medicine at UCLA. Dr. Eve Glazier, associate clinical professor in the David Geffen School of Medicine at UCLA.